When it comes to homeschooling, one thing I have put down on our curriculum checklist is an age-by-age life skills list (aka a list of chores with a purpose) as a guide to remind me as a mom to encourage my children to develop the skills they need to function as a mature and responsible adult when they get older. While my daughters definitely are not old enough to have completed this entire list, being the planner I am I decided to go ahead and make my goal list so I know that I’m on the right track. Maybe it will encourage you too as you prepare a chore chart for your child and/or prepare your child for adulthood. Believe it or not, those days will be here before we know it. 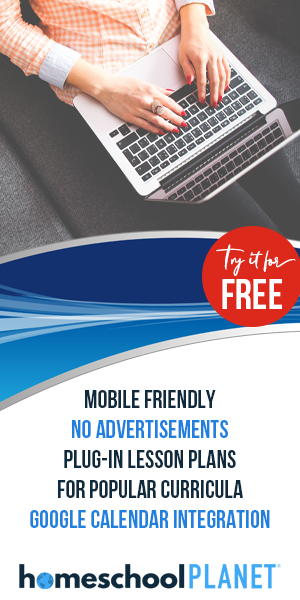 Life experiences via a part-time job or entrepreneurship, a personal checking account, local vocational school course, etc. 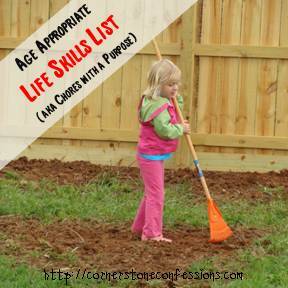 What would you add to your child’s life skills list?